The-Dream was spotted leaving court yesterday where he told photographers he didn't assault his baby mama. See the tape inside and watch Pharrell on "Jimmy Kimmel Live!" 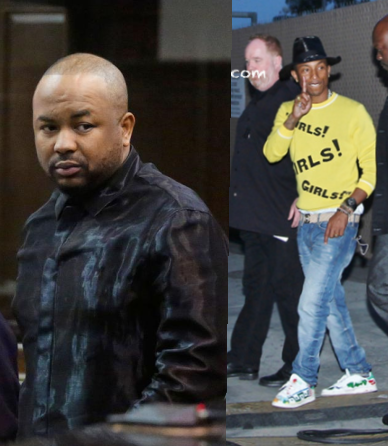 After surrendering to police, producer The-Dream (shown above in court and a hatless rare occasion) was charged with assault last night for a 2-year-old incident at NYC's Plaza Hotel where cops claim he punched and choked his eight-months pregnant baby momma Lydia Nam. 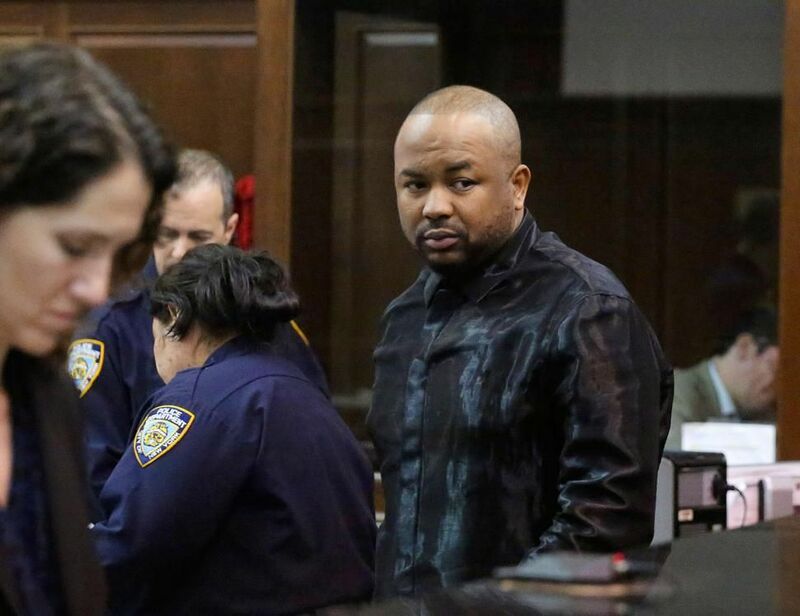 Terius Nash (real name) walked out of a Manhattan courthouse last night, after posting $20K bail, where he told photographers that he did not hit Lydia. While being peppered with questions he said,“I have nothing to say. It’ll all come out. There are worse things in the world going on." When one reporter asked, Have you ever hit Lydia?, Terius said, "Definitely Not." On the heels of a fascinating art-spread in W Magazine, Pharrell Williams appeared on Jimmy Kimmel Live! last night where he performed "Come Get It Bae" from the hit G I R L disc. During their chat, Pharrell told Jimmy that the material that ended up on Justin Timberlake's Justified disc was written for Michael Jackson. Then he told a funny story about Michael's manager saying MJ wanted a song like Norega's "Superthug." And he detailed their first phone call (which involved a lot of popcorn).